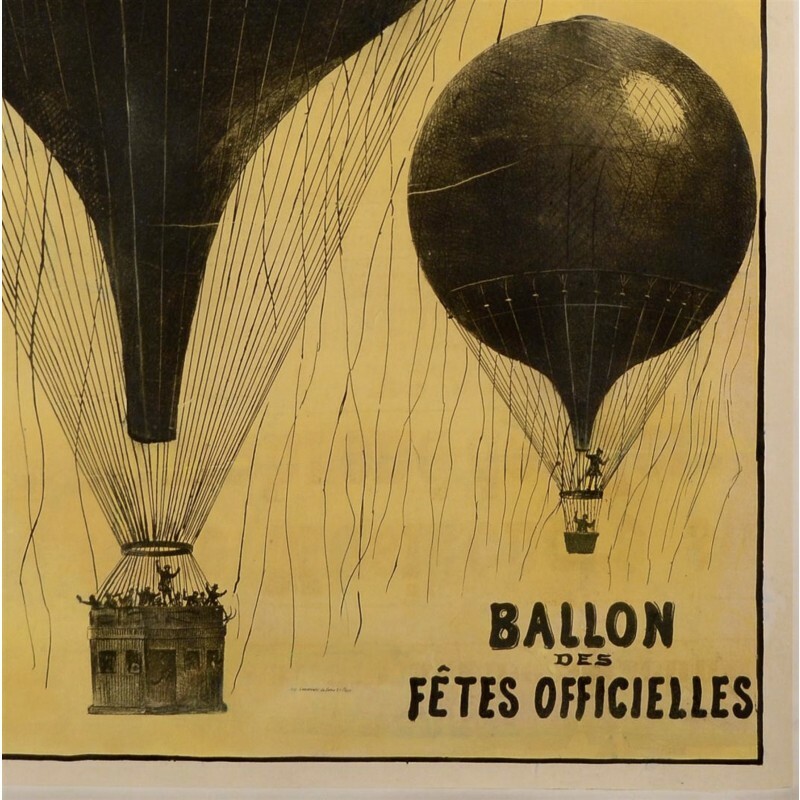 This poster is an advertisement for the hot air balloon rides, popular in France at the end of the 19th century. 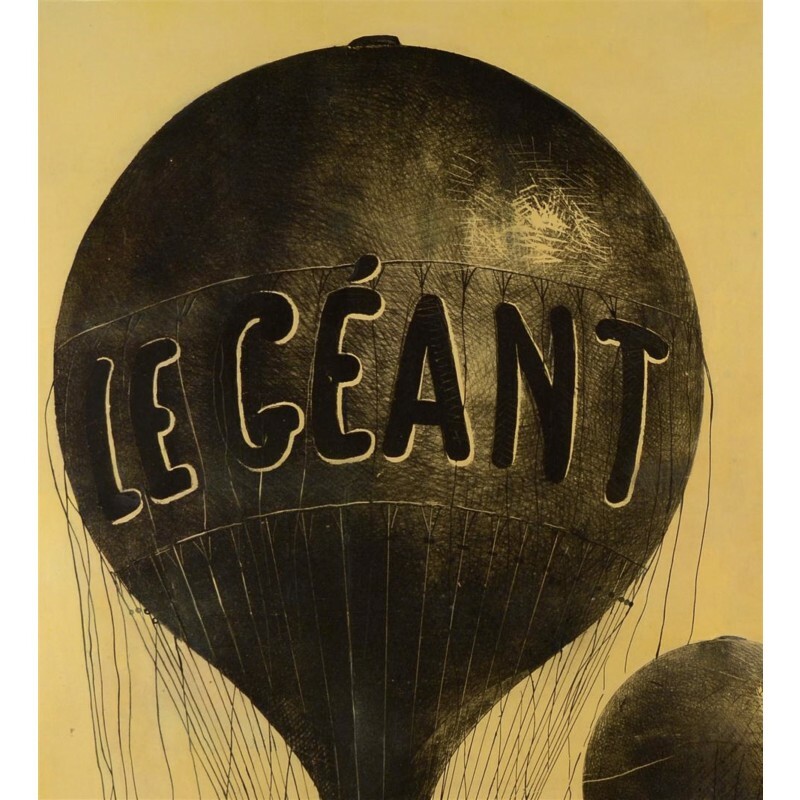 Félix Nadar was the pseudonym of Gaspard-Félix Tournachon (1820-1910), a French photographer, caricaturist, journalist, novelist and balloonist. 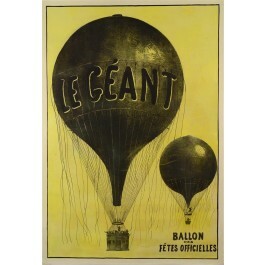 Around 1863, Nadar built a huge (6000 m³) balloon named Le Géant ("The Giant"), the hot air balloon of the official holidays, thereby inspiring Jules Verne's Five Weeks in a Balloon. 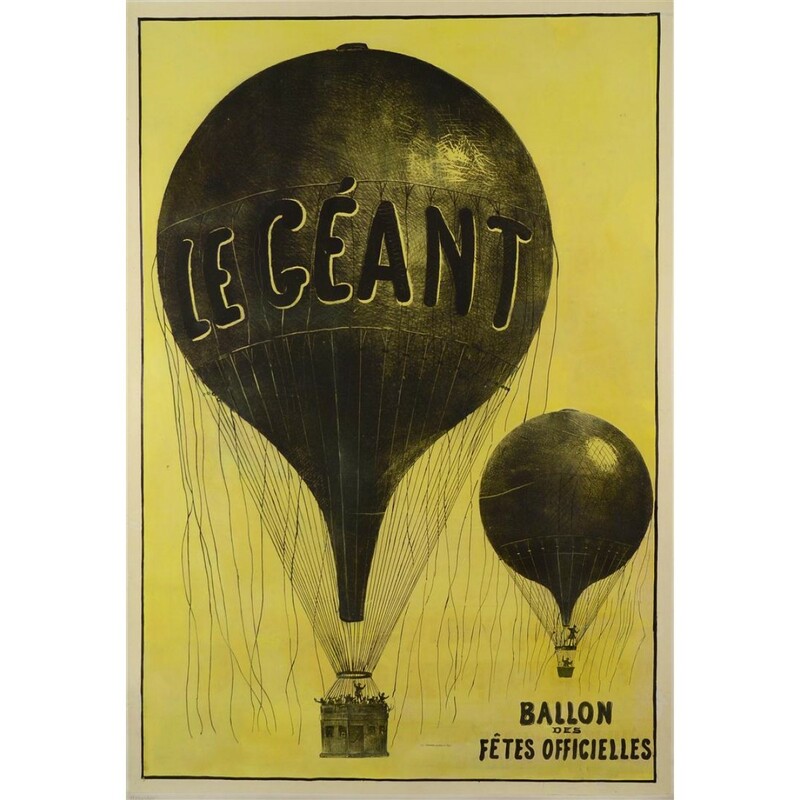 Although the "Géant" project was initially unsuccessful Nadar was still convinced that the future belonged to heavier-than-air machines.